Print HTML to PDF automatically. You are here: CoolUtils > Total PDF Converter X > Print HTML to PDF automatically. The problem of desktop converters is that it can be used locally only by one user at a time. This problem is already solved by Total PDF ConverterX – a converting utility that can be installed on a web server for running by multiple users. Moreover, thanks to the support of Active X technology it is possible to integrate a PDF converter into any web-based applications. 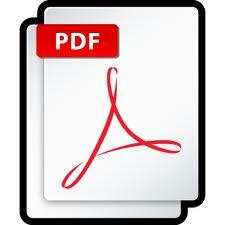 In such a way you are able to create your own local or online PDF converting service. Fully adjustable conversion modes: you are able to set specific formatting parameters for output file copies. Batch conversion: process all the files you need to convert by one single text command. A few conversion modes to choose from: you can convert each file separately, each page of originals to separate file or combine all originals into one single file. A wide range of supported target formats: convert PDF originals to graphics, text, web page, database formats to extend the flexibility of your PDF files. Multi-user operation: VB.net Convert PDF utility installed on a web server allows it to be run by numerous users at a time. Moreover, Total PDF ConverterX operation can be fully automated with the help of Total Folder Monitor. All files collected in specific folder, can be automatically converted to predefined format with specific settings. This helps to process PDF originals in background mode, if you constantly need to do this operation. Total PDF ConverterX is a ready-made solution for integrating PDF conversion facilities into any kind of web applications. It can be handled from the command line or via any web interface. Try the X-version of Total PDF Converter in your environment to see all its benefits.